A preview of the 72 watches pre-selected by the jury of the 2018 Grand Prix d’Horlogerie de Genève (GPHG) was held on Friday September 28th, at an exceptional event that saw 500 privileged guests gather in the magnificent setting of the Venetian Arsenal. This unique happening dedicated to art and design marked the third such partnership with BMW Italy, after Rome in 2016 and Milan in 2017. Alongside the new BMW 8 Series Coupé, guests were able to admire the finest watch creations of the year on display in the showcases, thanks to a presentation combining innovation, design and security – a performance in its own right. The reception also featured a moving performance by ballet dancer Roberto Bolle and his troupe. In the course of the evening, guests were able to share unique gourmet and oenological experiences thanks to the Michelin three-starred restaurant Da Vittorio along with an exclusive tasting of Bolgheri Sassicaia, the world’s most refined and prestigious wines. The GPHG is thrilled about this renewed partnership with BMW Italy. 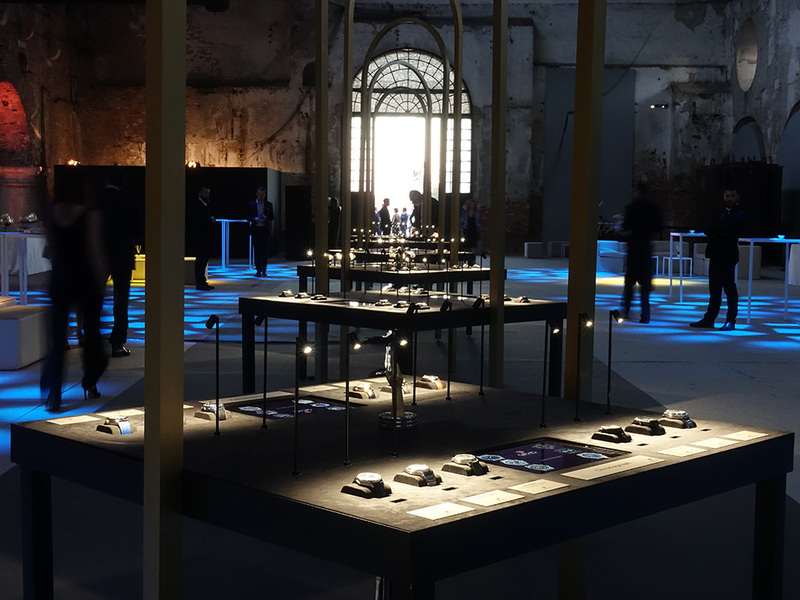 As a showcase for the watch industry, we are especially delighted to be kicking off this 2018 roadshow in Venice, cradle of art and city of beauty, as well as a place of trade and international exchanges. We are proud to be reiterating our Grand Prix d’Horlogerie de Genève partnership that began in Italy in 2016, especially since we share the same values of elegance, exclusivity and luxury which confirm the special emphasis the BMW group places on passion, culture and innovation.